Money Moves — How Do I Price My Work? One of the biggest challenges creative firms and freelancers face is how to come up with, justify, and evolve their pricing strategy. As we explained in the first article of this series, picking the right projects is often a by-product of your financial needs and the opportunities that arise—particularly true when cash-flow is low—though this should never stop you from qualifying a potential client’s project. Qualifying is the process of figuring out if the client/buyer is a suitable match for what you’re offering with regards to services and price point. Many of the opportunities you encounter and successfully convert will come down to how you pitch and price. In this edition of Money Moves, we’ll explore pricing methods, and how you can leverage different project/pricing formats to get the most out of your time and client relationships. From an economics standpoint (I finally get to put that economics degree to good use! ), all projects and skills are bound within the supply and demand framework: high supply of a good or service (e.g. taking photographs) creates downward pricing pressures, whereas low supply, likely due to high skill requirements, would warrant higher prices (e.g. niche and actionable knowledge of Slovenian streetwear brands). 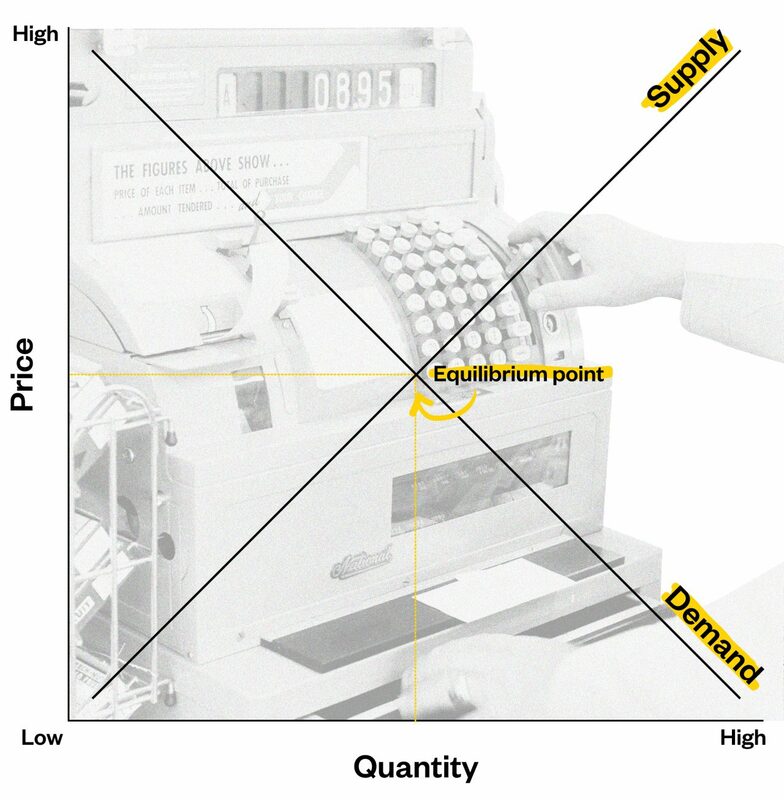 At equilibrium, demand and supply meet and price remains stable. Unless supply or demand changes, the price will remain at this level indefinitely, barring external factors. This is important in the context of creative pricing, especially for highly commoditized tasks. In this context, commoditized simply means that a service is sufficiently abundant to create a marketplace with little pricing differentiation between a wide range of service providers (e.g. 100 graphic designers would price their services within a similar pricing band of US$100-150 for the required service). In general, we can assume that the more niche or high end a service is, the higher the price will be. In rare exceptions, a good can be in low supply but still have a poor service offering. A monopoly often works that way since there is no pressure from competitors to improve the existing offering (think of utility companies such as those for water and electricity). These exceptions will not be discussed in this piece. 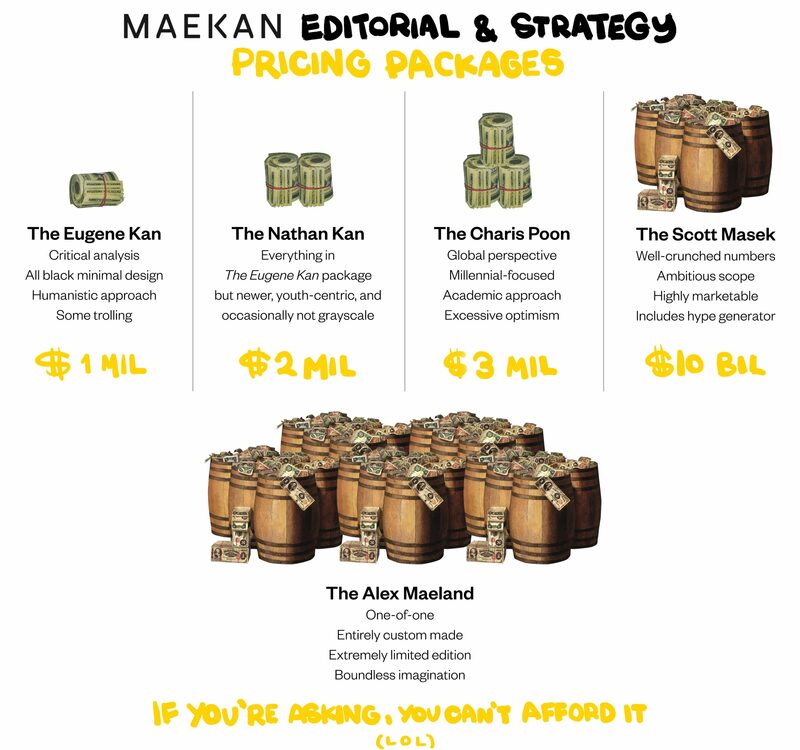 Pricing in creative industries is incredibly hard for multiple reasons. For one, “creative” output can be nebulous: how much do you value your skills? How much do people value your skills? Much like branding for fashion, the premium for a label is not inherently tied to the good itself. Consider this: what makes a t-shirt with a Balenciaga logo worth more than a Uniqlo t-shirt based purely on the utility and quality of the garment? The same applies to creative services. You could find a cheap but experienced photographer to take your wedding photos or hire Conor McDonnell instead. The photos would inherently be similar in terms of content and goals met, though the pricing would not reflect this. As a caveat, I’m not trying to equate both outputs in the example above (and we will discuss why great artists charge a lot more for their work), but rather make the point that for a given task, vastly different price points can still yield similar results. Where should you start? The point of origin will vary, depending on (amongst other things) your level of skill, experience, reputation, operational excellence, and execution speed. Because clients have different KPIs (Key Performance Indicators) and goals, it’s important to pay close attention to any briefs you are given, as this should dictate your pricing methodology and anchor point, assuming prospective clients will negotiate. Incidentally, this order is also typically a scale for how things are valued (low value if based on your time vs. high value if based on your broader contribution). Let’s unpack all three strategies and when they make the most sense for you to use. As the name suggests, cost-based pricing is inherently defensive: you get a feel for the scope and work needed, factor in your costs, and apply a margin/mark-up on top of it. You control your costs and try your best to minimize them in the context of a project. The work can be broken down into man-hours and offer a solid understanding of your business’ bottom line (profits). In general, we recommend always having somewhat of a cost-based approach to projects, even when pricing them as value-based services. The reason for this is that having a strong understanding of your costs will ensure you are eagle-eyed when it comes to scope definition and scope creep, which can make or break projects over time. When using this methodology, every additional hour of work you do eats into your margin, and as such you will never be able to rise above your standard. That’s the major drawback. Cost-based projects are limited in scope and time, often rigidly so, which can stifle creativity and maximal output. Unless you charge significant fees for your time or for the cost you bear, there are no incentives for you to push yourself beyond minimum requirements. Clients will have set expectations based on what you originally charged for, and will judge your output accordingly. Cost-based also reflects your own personal cost structure. If you have a high cost structure, you will charge more in absolute numbers, but your profit margin (gross or net) may be less than if you had a smaller operational burden. Thus, the ratio is crucial and worth tracking, particularly when you consistently take on small projects. Remember to adjust accordingly if you use this method. Lastly, these projects (especially when calculated by the hour) give clients a sense of what you think your time is worth. Clients can and will often extrapolate this to the other services you may sell them down the road, potentially anchoring you lower than where you want to be. It is therefore important to switch up your methodologies when pitching your services to avoid getting trapped by your own pricing systems. Some of your work can be charged by the hour, while other offerings may be market or value based. Don’t forget to fan out your capabilities. The world is a competitive place for creatives. At the click of a button, I can find freelance web-developers and their portfolios on Upwork. I can put an ad or brief together in 5 minutes and get solid responses within hours. Today, pricing and services are incredibly transparent and I, as a consumer, benefit from perfect market dynamics. If I see that there is high demand for my project, I can pit multiple offerings against each other and get the best deal possible to move forward. You can see how market-based pricing creates a race to the bottom. If your pricing is benchmarked or comparable to that of someone else, then you become constrained by what you are willing to offer in addition to your competition in the same bracket (your additional “value” in a commoditized environment). Aside from your portfolio and a solid pitch, there is very little you can do to create differentiation, which can hurt your business in the long run (solo freelancers will recognize the feeling of being a drop in an ocean of other talented freelancers). One value to market pricing and benchmarking is that it ensures you stay aware of trends and product offerings from competitors. Depending on your industry, you should have an idea of what others charge, and can re-price accordingly to make sure you don’t veer too far from the norm. Keep in mind that too much transparency on pricing (much like being too vague) can hurt you, as clients and potential suitors can leverage your data against that of another service provider and make an informed decision that will likely cost you business. You should look to keep pricing firmly in-house and make prices straightforward without giving too much away either. This can be a challenge, but breaking down your work into segments/phases for a client and pricing each piece will help achieve this goal. Every creative brings their value to the table; the problem is, especially in a commoditized world, many average clients fail to appreciate this. Taking a nice picture is not inherently hard, but the vision and creative direction of an experienced professional is invaluable. The same rationale applies to writing, painting, film directing, graphic design, music production, app development, etc. Any project with an inkling of creative thinking creates separation vs. other more traditional projects. Good clients know this and look for talent able to meet this need, understanding that paying for a project may be an expenditure, but that it will ultimately drive the company’s bottom line. This is why the world’s premier experts are able to charge large sums for what they do. For reference, Ogilvy & Mather charged BP a reported US$ 211m to redesign their logo, tagline, and image in 2008. Experts have successfully marketed their work and branded themselves to warrant such a price for their services, even though you may feel capable of doing equally good work or producing something even better. This is why value-based pricing is so important: it’s not about what you charge for, but rather in what capacity you justify the charge (your vision is worth more than that of a competitor’s). As a creative, your challenge is being able to communicate how your skill set and thoughts bring value to a client’s ultimate goal. Whether you are helping them build their brand or providing a report on a specific topic, the total value of your output is greater than the sum of the parts. Value-based pricing reflects this mantra and where you fit in the equation. Going back to a previous point, this is where experience, reputation, and professionalism are also key. It’s easier to justify higher fees when you have a strong reputation or references that can back your work (and its associated cost). The world’s best creatives have all worked their way up to get to that point and have undertaken cost-based or market-based projects at some point in their career. As is always the case when you set out on this journey for yourself as a freelancer or within a company, the goal is to level up over time and use your experience and expertise to dictate your pricing. Remember, the price you set is a representation of how you value your work. If brands are not willing to pay for this, it is a reflection on you or on them, but only time will tell who was right. It only takes one informed client to help propel you forward. Here’s a quick mention of rate cards. Rate cards are very useful in helping you list out your services and give an overview of the pricing. In general, rate cards are most relevant for cost-based and market-based pricing methods. We use rate cards from time to time which help us scale and speed up negotiations, but they always work best for very standardized work. If you want to have more value-based projects in the future, rate cards don’t make too much sense as each project becomes customized to a client’s needs. Try to balance rate-card advantages and limitations when pitching to clients, especially as you scale down the road. 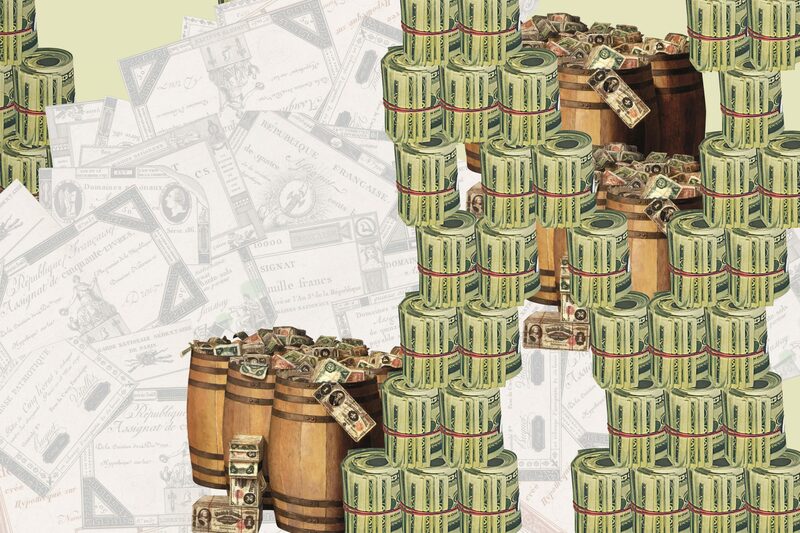 The most important point to takeaway from this article on pricing methodologies is not that all projects should be value-based, but rather that your strategy should properly blend all three. Take advantage of new opportunities to either push or expand your offerings and pricing—it might make more sense to charge by the hour for a project that is new to you as a way to build up towards more valuable opportunities down the line. There may be some projects that you don’t want to do but know they can help generate revenue, so using a cost-based approach to focus on your time spent may be how you get the best deal for yourself while maintaining a baseline of quality. Perhaps you feel like now is the time to step up from market-based pricing and advocate for your work’s fair value being X; you’ll subsequently price all future projects at this minimum and build a pipeline to sustain this vision. Lastly, remember that pricing is a strong signifier to potential clients. Clients could raise eyebrows if a small outfit tenders outrageous sums for a project. However, the opposite is also true—low prices can hurt you just as much, setting presumably poor expectations in a client’s mind. It’s important to value your skills accordingly, but to also be ambitious enough to ask for more, knowing your work quality or skills as a business partner can make all the difference to a prospective client. The key is for you to demonstrate that value efficiently and effectively. Accurately assessing and mastering these pricing situations will make you unstoppable in getting the most out of all your future deals.